The most effective way to make money in the stock market is much simpler than Wall Street would have you believe: Identify the growth trends and ride them up. Picking individual stocks and getting in and out at just the right time is a great strategy to put money in brokers' pockets. Or you can pay a fund manager to do it for you. But to really grow your wealth and take emotion out of the equation, it's time to give exchange-traded funds (ETFs) a serious look. You might think ETFs spread your money too thin and leave you with only modest growth while more savvy investors enjoy mega-profits. But look at iShares MSCI India Small Cap ETF (BATS: SMIN), which gained 58% in 2017, beating the S&P 500 by roughly 200%. The right ETF can send your portfolio skyrocketing when you've identified a real growth trend. 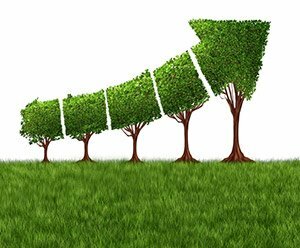 So today, we've got five growth trends that will dominate 2018, and five ETFs to take advantage of each of them. Each ETF provides the stability you need with the breakout potential you want. This wireless electricity sounds pretty bogus to me.